To broaden your online business rely on our Linux VPS hosting service. We serve your business by giving you power that too at reasonable and right price. Our service gives you complete and dedicated control over your functionality. Virtual Private Server is actually a virtual machine which is sold basically as a service by the internet hosting services. It runs on the copy of an operating system and as customers you have access to the same operating system, thus making you a super user. VPS is the best way to cut down your cost of installing a physical server. 20 times faster than standard SATA hard disk drives, We provides all new VPS with high performance SSD hard drives that range from 30GB to 240GB. Your server is ready in minutes not hours. While most VPS company take hours or days to activate, We designed our VPS servers to provision instantly. Use your server the very second you order. The latest versions of PHP, MySQL, Perl, Python, Ruby come pre-installed, and can be customize at your server with any Linux-based application, server software, or OS component. Order backups, manage snapshots, and more from inside our management panel. If you have a website with lots of traffic or may generate lots of traffic sooner, then you should get a Linux VPS web hosting package. If you want to get more control on the things that are installed on the server where the website is hoisted, then you should consider a Linux VPS web hosting package. Linux VPS stands for a virtual private server that runs on a Linux system. There are many benefits when using a Linux VPS hosting service, including ease of use, increased security, and improved reliability at a lower total cost of ownership. In this, the virtual private server is isolated. This means that you can easily install the OS that you prefer and you can remove or add software. Who should use Linux VPS? Any business venture who is looking forward to the growth scalability should consider a Linux VPS due to web traffic, increases, overall performance and throughputs parameters. Hence, any business owner who needs specific / custom applications installed on their server, but unable to fund the purchase and maintenance of a dedicated should consider Linux VPS. Are the Linux VPS servers and software scalable? Yes, completely because of the key capabilities and capacity of cheap Linux VPS in order to meet the requirement for the significant growth of the business's applications and data that reside on your VPS can be easily moved to larger and / or to additional servers. Can i use this VPS for eCommerce websites? Yes, you can use a suitable VPS configuration for your eCommerce portal. eCommerce sites are considered heavy and featureful sites and they need strong configuration to support traffic and CMS requrement. We recommend you 4GB VPS and above server for smooth operation of ecommerce sites. How do I access my Server once it has been provisioned? User can profusely avail this available information from Account Center or "Service Activation Letter" email using SSH, even though connect to the Server using access domain or your IP address. What is Managed / UnManaged VPS? All VPS are unmanaged untill order a fully managed service plus cPanel, you would be given support related to the cPanel function / server / service issues. Managed server are limited to the server management through cpanel functioaity only. If you have ordered VPS for 8 GB+ with cPanel, you would be given managed priority support with additional benefits. cPanel / Plesk is Mandatory? No. It is not mandatory to purchase cPanel / Plesk. If you want to manage your server without any panel on your own, you can do it. You can purchase cpanel / Plesk license from anywhere to use with your server. We would be taking care the server and service related issues only. Do I get root access / What kind of usage i can do? Unquestionably, get profuse access over all servers. Moreover, the user can always change/update your root password within the Account Center. 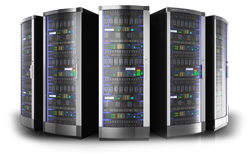 All Server can be used for any lawful activity allowed by the respective government and authorities in India / USA. How many IP addresses come with my Server? Seamlessly, your server is better enriched with 1 IP address. However, it provide ability to get purchase up to 10 additional IP addresses for Server via your clientarea. The foremost reason to adopt Linux VPS web hosting this that it is user friendly nature. By choosing the service you can easily handle the basic need of your business that is handling a good number of users and manage other aspects like high configuration and bandwidth along with IP and server installation. As the VPS are based from the ground level on cloud technology you can enjoy more power, flexibility and complete control over your websites. Hostjinni.com Linux VPS web hosting India plans are fully customizable and can be easily upgraded when needed. With full control of your server you also have the ability to install any software and customize your personal hosting environment. We promise to give all the necessary technical support as well as security issues at an affordable expense.